I’ve been playing Infidels a lot during the past week, learning it the way you do with a new album, and it’s growing on me more and more. I’m planning to rank all of Dylan’s albums once I’ve cycled through his discography on these Dylan Weekends and I’m already anticipating what a daunting task that will be. I’ve always had my favorites and my second tier, but I’ve now introduced great new albums such as Infidels, Planet Waves, Street Legal and Slow Train Coming, with another undiscovered album still to come. And then there are the albums I still don’t own but have come to appreciate from afar — Self Portrait, Dylan, Saved and Shot of Love. Right now I’m guessing Infidels will fall somewhere in the 10-15 range, which sounds only so-so until you read off the names of the albums that will sit above it on the list. Given Dylan’s catalog, 10-15 is pretty damn good. I give Mark Knopfler a lot of the credit for the success of Infidels… this is one of the better sounding albums Dylan has released. And if at times it sounds like a Dire Straits record with a new lead vocalist, well, that’s not a bad thing. And Dylan is in fine form here, both as a writer and a singer. The ballads — ‘Sweetheart Like You,’ ‘License to Kill’ and ‘Don’t Fall Apart On Me Tonight’ — are spot on, and he brings an urgency and passion to the heavier tracks. Right now my favorite song on the album is ‘I and I,’ one of the most lyrically compelling tracks and one of the grooviest. Note: I can’t mention Infidels without pointing out that it could have been even better had Dylan included ‘Blind Willie McTell‘ in the tracklist. 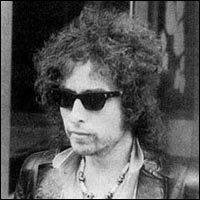 That song, later released on the Bootleg Series, is one of the finest tracks Dylan has ever recorded. Lord knows what he was smoking when he decided to leave it on the cutting room floor. This entry was posted in dylan weekends and tagged Bob Dylan, I and I, Infidels. Yeah, I need to get this album. Another great SOTD. Dylan in Knopfler’s hands is a very good thing. There’s just something about Bob’s singing on this track that is a miracle. It’s always been in my top-10 songs of his. And Knopfler’s playing is the best on this track.